Buying and selling can be a very stressful experience, but it doesn't have to be...having the right Realtor can make a big difference! With over 20 years in the real estate industry, being an investor and a homeowner, my experience and knowledge will guide you when you are ready to make your next move. I offer professional service along with a caring touch personalized to fit your needs! DID I MENTION NO PRESSURE? I have successfully assisted hundreds of buyers and sellers achieve their buying/selling needs and am a MULTI-MILLION DOLLAR PRODUCER. I am Proud to have served as Public Relations Chairperson for The Fayette Board of Realtors (2017 & 2018). I was blessed to be awarded Realtor of the Year 2017 by the Fayette Board of Realtors and Agent of the year for 2018 by SWC Realty. Looking out for my clients' best interest is top priority! "I love my job and have the best clients! As a Realtor, their happiness is my biggest success!" Call RACHEL LINDERMAN at 724-557-2150 to get started! ★★★★★ Rachel is so real and down the earth. 10000% honest. We knew right away she was the agent for us. She showed us two homes and the second one we fell head over heals in love with. Made an offer the next day and purchased our dream/ forever home. Everything went absolutely seamless without any hiccups. She gave us honest opinions and we couldn't be happier with the outcome! ★★★★★ I can not say enough good things about Rachel. I was told by others how good she was at her job, but “excellent” would be a better description. From the first day, I knew I had made the right decision in choosing her to sell my home. Her knowledge and expertise were above and beyond my expectations. She was always available day or night with any questions, advice, and concerns throughout the whole selling process. I would recommend her to anyone looking to buy or sell a home and would definitely choose her again if buying or selling another home. ★★★★★ My fiance and I had a bad experience with our previous SWC agent. That being said anyone could understand why we'd be skeptical of another SWC agent but we we're referred by someone we knew and gave her a shot. From the first home she showed us we felt like we we're in good hands. Rachel is very informative and attentive to process details. She got us a quote from a different lender that was less than the one we had. We stayed with the lender and regretted it but that goes to show how much Rachel tries to help her clients. She would answer our calls and questions from late nights to early morning texts. We highly recommend Rachel for any first time home buyers. ★★★★★ Home was on the market for 6 months thru another agent with maybe 10 views at most and no offers. Switched to Rachel and had six views in first week and one offer that fell thru. Accepted another offer after 6 weeks. Closed within 3 months with Rachel. She handled everything professionally. Very satisfied. She'll work hard for you. ★★★★★ I would strongly recommend Rachel as a Real Estate agent. Based on my experience in working with her, she is very reliable and knowledgeable. I was not living in the area while the house was for sale so I worked with Rachel remotely and the communication with her was excellent. She will give you her honest opinion on various aspects of selling a home. Rachel has excellent marketing skills be it using social media or the local paper so your property will be seen by lots of people. Most of all Rachel will get the job done! I would give her an A++ rating! ★★★★★ Recently bought a house through her. She was extremely helpful, would definitely recommend. Made first time home buying a breeze. Answered all of our questions fast. ★★★★★ We purchased a $140k home through Rachel & she was the best realtor we could've picked for the job. this was our first home purchase so we had tons of questions but she answered them all within hours. wouldn't recommend anyone else. ★★★★★ RACHEL IS OUTSTANDING!!! SHE IS THERE FOR HER CLIENT ANY TIME OF THE DAY. SHE GOES OUT OF HER WAY TO MAKE THINGS HAPPEN. THE FIRST TIME I LOOKED AT A HOUSE SHE WAS VERY OPEN WITH ME RIGHT FROM THE BEGINNING NOT JUST TRYING TO MAKE A SALE. THE NEXT HOUSE SHE WAS GREAT AGAIN TELLING ME HER THOUGHTS. I WOULD TELL ANYONE TO USE RACHEL AS THE AGENT OF CHOICE BUYING OR SELLING. ★★★★★ Rachel is great to work with. She is very informative and helpful with your home search. She's goes out of her way to make sure she is available to you at any time. I would definitely recommend working with her if you are considering a home purchase. ★★★★★ Rachel Linderman has been a god sent. When my mom passed last year I truly was overwhelmed and didn't know where to turn. I've known Rachel over 20 years or so, and she said if I ever needed anything to give her a call. She was very helpful and knowledgeable at her job. Anytime I had a question she was just a phone call away..I would highly recommend her if your looking to sale. She's also very friendly and personable. Definitely an assset to SWC..
★★★★★ Rachel is AMAZING!!! She is very knowledgeable and was extremely helpful through the entire process of us buying our first home. Rachel was available anytime, day or night, when we had any questions and she kept us informed every step of the way!! Rachel made the entire process so stress-free and pleasant and we cannot thank her enough for everything!!! ★★★★★ Rachel sold my Daughter a Home 4 years ago. I knew then that when I was ready to downsize, Rachel would be the Agent I would contact. In Mid Dec 2016, we listed our home, our house sold in less than 6 weeks. Rachel worked diligently to find us our New Home, texting and calling us, even after work hours. She knew exactly what we were looking for and found us our Forever Home within 2 weeks after our House Sold. Rachel, we cannot Thank You enough for your honesty, hard work and determination to find our perfect home to retire in. ★★★★★ We listed our house for sale back in 2015. Rachel brought us the buyer. She is amazing!! She hustles and bends over backwards for her clients. You will not find an agent who is more energetic, ethical and willing to work for YOU!!!! Great person and Great Realtor!!! ★★★★★ She was wonderful to work with!!! Between her and James buying a house was pretty smooth and easy! She and James always answered all of our questions and truly guided us through the process. For example when we decided to put an offer in on our home Rachel made time in her schedule to meet with us ASAP and later that day we met up and she had already contacted James who had our financial lay out ready to go. Because of how quick Rachel and James were we were the first offer on our home and it was accepted right away. ★★★★★ Rachel was very professional . She knew the market advised us of what we could expect and delivered . I have never had a real estate deal go as smoothly as this one with Rachel ! Our deal was completed in 30 days . She also contributed a percentage of her commission to my favorite charity an unheard of gesture before I met her ! I cannot fully express my satisfaction with her as a realtor ! ★★★★★ Rachel was our realtor helping us purchase our first house. Needless to say, walking into this without much besides basic knowledge, she was our house buying guru. From location to house conditions and everything in between. Any questions or concerns, she was right there to help answer all of them at any time of the day. We are more than ecstatic with our home!! And we owe a huge thank you to Rachel Linderman. Without her and her knowledge, we would not be currently sitting in our comfortable, cozy living room, cheering on the Pens in the playoffs (LET'S GO PENS!). A big thank you to Rachel!!! And also to West Penn Financial who helped make our closing and purchasing process go so smoothly. We highly recommend Rachel and West Penn Financial! Thanks for making the next chapter in our lives together a reality! ★★★★★ My Husband and I would highly recommend Rachel when buying or selling a home. She was available to us 24/7 she answered every call and every text with-out delay she was always there for us and answered every question with detail. We had never met Rachel before we had listed our home with her, but had heard others talk about the service she had provided them with in selling their home so we contacted her to be our agent. Best decision ever, Rachel became more than just an agent to us she becomes a friend. Rachel deserves 5+ stars and then some. ★★★★★ Rachel is awesome! We needed our home sold quickly and she did just that! She provided great advice, she is quick to respond to text message/calls and she kept us well informed. We highly recommend Rachel to anyone selling/buying a home. ★★★★★ Rachel was always quick to respond to my questions and concerns. She could be reached virtually anytime. Her knowledge of the area and expertise made me truly confident that my husband and I would find just the right home. She is a true professional with integrity and honesty. I would heartily recommend her to help with your real estate concerns and her manner always put us at ease. 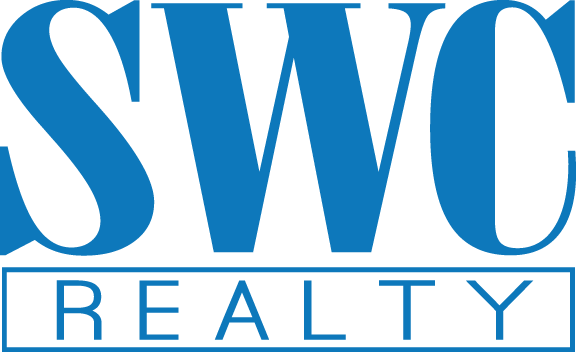 ★★★★★ I had a wonderful overall experience with Rachel and SWC Properties, I purchased my second home and sold my first home through Rachel. She answered every question I had, kept me in the loop of everything that was going on, always responded to text messages and her knowledge of the real estate business is extensive. I would highly recommend anyone that is selling or buying to go through Rachel, you won't be disappointed! ★★★★★ Fantastic, awesome, responsive, incredibly knowledgeable!! Just a FEW words that describe Rachel. I absolutely loved working with her. She held my hand through every step in the process and kept me informed. Rachel knows the area well and knows the clientele. With this info, she knew exactly how to market our house. It was not just one ad here and there or an open house; it was regular use of social media to spread the word and network. I would have no reservation recommending Rachel! ★★★★★ I was married to an Army officer for 13 years and have moved all around the country, so I have worked with numerous realtors for buying, selling and renting in that time. NO ONE holds a candle to Rachel Linderman. She is BY FAR the best realtor I have ever had the pleasure of working with. She was more than responsive to my needs and she was proactive in all aspects of the buying process. I really can't say enough about her and how highly I recommend her as a realtor!!! I was selling a home in another town (with a different realtor) and buying a home in Uniontown with Rachel's help, and there was simply no comparison in the quality of service I received from her. Yes, the other realtor was nice and helpful, but I had to find my own lawyer to handle my deed. Rachel, when I made the offer on my home, took care of setting up the home and pest inspection literally only days after the offer was accepted. She found me a bank that actually came to me to complete my loan. She knew I was closing on my home and would have to live with family members until I was able to close on the house I purchased with her help. She worked with the lender and because of her, I closed in less than a month!!! No one provides that kind of customer service these days, but Rachel does. I also loved her honesty when I was looking at homes, and most importantly, I can tell how much she loves her job. You just don't find people with this much enthusiasm for their work these days. I'm so glad my friend recommended her. When I looked up her information when deciding on what realtor to use, I saw that she also gives 10% of her commission to the charity or church of my choosing. That meant a lot to me and really sealed the deal so to speak on using her, but now, I have so many more reasons why I find her to be a great realtor. You really can't go wrong with using Rachel and in writing this review, I can honestly say I've never been more pleased with someone's services. ★★★★★ Rachel was very patient and attentive she kept me informed every step of the way. I did not know what to expect I've never sold a house before. I recommend Rachel if you serious about selling this woman is amazing! !!! ★★★★★ We listed our home with Rachel in late August 2014 and by May 2015 it was sold at very close to our asking price! We found Rachel to be enthusiastic, professional and willing to accommodate our needs at all times. She also very generously donated 10% of her commission to a charity that means so much to our family. We highly recommend Rachel! ★★★★★ I called Rachel in regards to preparing for a home loan and she was more than helpful, nice, and knowledgeable. When I'm ready to purchase a home I will be contacting her. ★★★★★ Rachael made this very difficult and stressful time in our lives more pleasant! She was very helpful, honest, and upfront through the whole process. At any time of the day or night I was able to get answers that I needed. As a real estate professional she is top notch, as a person that is committed to her client and job, she's an angel. I highly recommend Rachael for any buying or selling needs! ★★★★★ My husband and I were extremely happy with Rachel. She was the consummate professional. She was very knowledgeable about her profession and works for you. We had our property listed with 2 other agencies prior to using Rachel. With the one we never had a reasonable offer and none with the other. With Rachel we had an offer within a month of listing, the potential buyer had some issues and within weeks we had another offer. She really works hard for you. Even though our property was small and not very expensive she treated us though we had a high price property. We highly recommend her as an agent to everyone and anyone looking to buy or sale property. ★★★★★ Rachel was awesome! My wife and I were looking to sell our home and contacted Rachel about being our agent. She was very timely in her responses to us. Rachel asked us when we would like to sell our house, and we gave her a date range. She then took it upon herself to set a goal for when she expected to sell it. She far exceeded that goal! Rachel found multiple people interested in our house and was always great at making us aware of the time frame the house would be shown. In less than 2 months, Rachel found us a buyer (willing to pay full price) and closed the sale! We are so thankful for what Rachel was able to do and would recommend her to anyone. In fact, we already recommended her to a family friend and my father-in-law. ★★★★★ I had to make an abrupt move and had no way of continuously coming back to town to show my house to potential buyers. Once the house was officially for sale, Rachel was able to find a serious buyer in 10 DAYS FLAT. It was incredible! I'd heard nightmare stories from my friends that attempted to sell their homes and ended up sitting on them for up to a couple years. I thought I was doomed to the same fate. After all was said and done (there were several hold ups on my end as well as the buyers, but never because of Rachel) I was able to sell within 2 months all thanks to Rachel. She's always on time, on point, very courteous, and extremely knowledgeable. Whenever I had a question she was able to answer nearly immediately, day or night. I spoke with a couple other realtors prior to finding Rachel and after that experience, I feel confident saying that Rachel is outstanding at what she does. I would definitely recommend her to everyone looking to buy a home or sell their current one. ★★★★★ I would highly recommend Rachel Linderman to List your home or even help you find the right home. She was able to sell my In-laws home within just a few months. She gave us great tips for fixing up the home in order for us to get what we wanted out of the house. She kept in great contact with us by letting us know when there were showings, and comments people were saying about the house. She was very fast and organized when we were in the closing process. She also offered 10% of her commission to a church or charity of our choice. Which I thought was amazing someone would offer to do that. She was also very helpful in gathering information for us on properties we were interested in, and putting a lot of her own time into finding out information for us. If you're looking to buy or sell a house have Rachel help you. She's fantastic at her job and you won't be disappointed. ★★★★★ I have bought/sold several houses over the years in major cities and small towns and Rachel Linderman is the most skilled and professional real estate agent I have encountered. She was continually in touch and made useful suggestions on getting the house ready to show. Her marketing skills were excellent; she rewrote the description of our house, making it more warm and inviting and emphasizing important selling features. We were selling a house in difficult times, in that the local economy was in a downturn as a result of nearby plants closing. She was always reassuring and hopeful. She ran regular open houses and followed through with potential interested buyers. When one deal fell through after the mortgage application was not approved, she was reassuring and positive, telling us that a better offer was just around the corner -- and it was! During the final closing process, she was continually checking to make sure things were moving along and when they were not, she contacted people to keep things on track and timely. She was just as helpful, kind and informative to the buyer as she was to us, the sellers. She also clearly understood the financial aspects of the transaction, and, when asked, clearly explained the commissions, the closing process, and other financial details. Finally, when we were at the closing, it was obvious that both the bank officer and the attorney representing the buyers were respectful and appreciative of Rachel's professionalism and commented on how her closings always went smoothly because of her preparedness and hard work. I would give Rachel Linderman an A plus for her service and professionalism and would highly recommend her as a real estate agent for any listing, large or small. You will not be disappointed. ★★★★★ My husband and I were looking for a home and had a few specific needs. I came on Zillow and performed a search of our area with the criteria we desired. I found the home we ended up purchasing, and contacted Rachel through your contact method and told her that we'd very much like to view the listing. I was literally shocked and very pleasantly surprised when within a half hour, on a Sunday evening, my phone rang and it was Rachel, inquiring as to how she could be of help to us. She contacted the sellers and set up a viewing for the next afternoon. She was very knowledgeable about the home, the area and was able to answer any question we asked. Because the home had acreage with it, my husband asked her about the one property line. Even though we had a copy of the property survey, it was difficult to discern the exact placement. She said she'd look into it and find out, and the next day, she had the answers. We felt so comfortable with not only her knowledge, but with her personally, that we felt more than confident submitting a written offer that day. Her negotiation skills were wonderful, and she got us a fantastic buying price. She kept in constant contact with us right up until the closing. I would recommend her to anyone looking for or selling a home. Because of her skills, I not only bought a wonderful home, i gained a fantastic friend. ★★★★★ Rachel made the very stressful task of buying a house almost an enjoyable experience. She worked around our schedule and guided us through the process with ease. If you are looking to buy a home, with as less stress as possible, call Rachel! ★★★★★ Rachel went above and beyond. We've dealt with many realtors and she far exceeded our expectations. She is definitely one of the best in her industry and I would highly recommend her!!! ★★★★★ Rachel was totally dedicated and determined to sell our property, we were so impressed by her skills that we decided to list a second property 9 months later with her. Both properties sold extremely fast, which is what we wanted. We would recommend her because she is totally accessible and replies to texts and calls almost immediately. She knows the market and is the right person to call when you need a seasoned Real Estate Professional. ★★★★★ We just closed on our dream home. It was about a 2 1/2 month process and from start to finish, Rachel was there for us. The road was a little rocky at times and we even thought the deal was done, but with Rachel's help and guidance, we made it to the finish line. Any question we had day or night, we always got a timely (and most of the times immediate) response from Rachel. There is truly not one thing I could even think of that she could have done better. She went above and beyond for us and we will recommend her to anyone and everyone who is looking to buy or sell a home. ★★★★★ The first moment I talked with Rachael, I knew she was going to be our realitor! Not only did she make the home buying process easy, she kept me calm the entire time! Any question I asked, stupid or not, she responded almost immediately and knowledgably. The day we put our bid in, I was a nervous wreck, shaking and all. Rachael made me feel comfortable and brought positivity to the room. Our bid won and when she called to tell us the news, she was so happy for us! Even after we signed, Rachael remained in contact to make sure we were getting settled in happily! I HIGHLY recommend Rachael to anyone looking to buy or sell a home. I PROMISE she will do a wonderful job! ★★★★★ She is a full-time business minded realtor with her full attention given to clients. We selected her from our observation of her attention to detail, ability to give life to property descriptions and determination to close the deal....Many local realtors work around their life and schedule- Rachel works around her clients- She's the smart choice!!! ★★★★★ Rachel was amazing to work with! Even with some bumps along the way, she made the process so much easier. Communication was awesome and she was so patient with all of my million questions. I don't know how my family would have made it though the home buying process without her. She sold 2 homes for us in a matter of days and we also purchased a home that she was the listing agent for. I HIGHLY RECOMMEND her for your home purchasing endeavors! ★★★★★ We purchased our first home through Rachel and she made our experience wonderful. We wouldnt have known what to do without her. She was fast and very knowledgable and we would recommend her to anyone looking to buy a home. Thank you so much for everything!! ★★★★★ Rachel has been our real estate agent from the beginning, she's showed us houses and now we have our home listed with her, couldn't ask for a better agent, she's kind, explains everything in detail, sincere, and very helpful, answers all questions quickly, keeps you up to date as to what's going on!! She was at the house taking pictures and putting up a for sale sign the same day I told her we were ready to sell, couldn't ask for a better person!! So when your ready to sell or buy and your looking for someone who is willing to work side by side with you and is very friendly and caring, Rachel is the person to contact!! BEAUTIFUL SETTING FOR YOUR NEW HOME! THIS BUILDING LOT IS JUST OVER A HALF ACRE IN OAK HOLLOW ESTATES. GREAT SOUTH UNION/HOPWOOD AREA. ALL PUBLIC UTILITIES AVAILABLE. 1.52 ACRE WOODED LOT IN SOUTH UNION TOWNSHIP. UTILITIES AVAILABLE. GREAT LOCATION FOR NEW HOME CONVENIENT TO 43, SHOPPING, MORGANTOWN & MORE. GREAT LOCATION FOR NEW DEVELOPMENT IN SOUTH UNION TOWNSHIP JUST MINUTES TO UNIONTOWN OR MORGANTOWN! MOSTLY LEVEL AND CLEARED 22.64 ACRES. LAUREL HIGHLANDS SCHOOL DISTRICT. REAT LOCATION FOR NEW DEVELOPMENT IN SOUTH UNION TOWNSHIP JUST MINUTES TO UNIONTOWN OR MORGANTOWN! MOSTLY LEVEL AND CLEARED 13.29 ACRES. LAUREL HIGHLANDS SCHOOL DISTRICT. Beautifully nestled on just over 11 acres in Menallen Township is where we found this meticulously cared for 4 bedroom 2 1/2 bath all brick 2 story. Just steps away from entrance of Dunlap lake and minutes to shopping, hospital & city living .